Just picked up my Autonomous DIY Smart Desk. 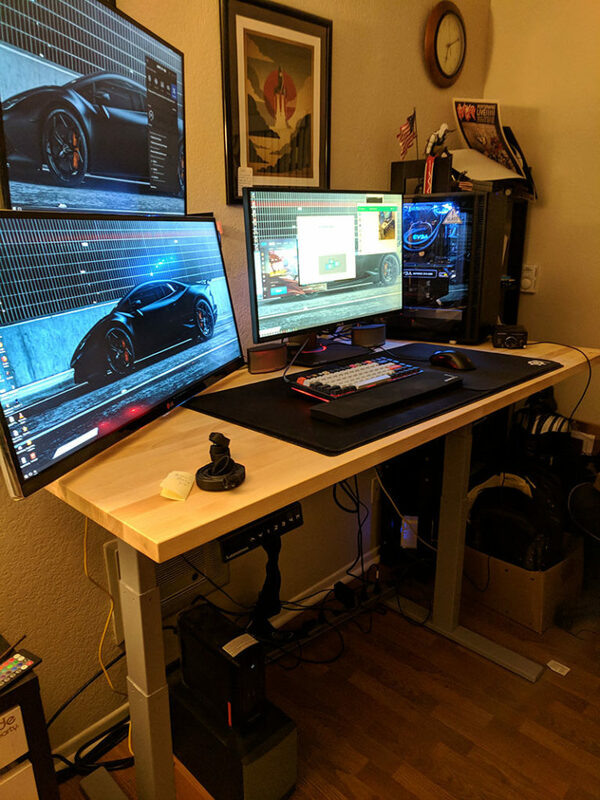 Pretty excited to move on from my slightly warping desk and to see if a standing desk helps with my back and some posture problems. My biggest holdup is that I am not sure what table top to use. I’ve been looking for either a solid wood door slab or a butcher block. 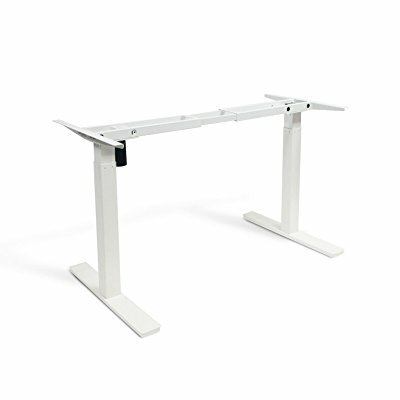 Unfortunately, Ikea has stopped selling the Hammarp counter top which seems to be the internets go-to for a great desk for a good price. The two options for the top from Ikea are the Gerton table top which is slightly smaller than I would like, but solid wood. The other option is Karlby Countertop. The Karlby is nice, but it is a 1/8″ inch veneer on top of particle board. Any of you readers have an opinion between these two? 1. Autonomous apparently has sent me the wrong item. They sent me a cabinet, which was really silly of a mixup. After some talking to the customer service agent, they have scheduled a fed-ex pickup and will try to ship out my real desk. They don’t seem to be able to give me a date of when it will be shipped so I believe they may be having an inventory problem. 2. I went to Ikea yesterday, and I am a firm believer that 11 AM on a Tuesday is the best time to go. I was able to find great parking and walked through the entire store without seeing more than 60 other customers which made the store feel completely empty. I did buy a Gerton table top. I ended up choosing this over the Karlby solely based on the width of the two. The Karlby is only 26″ wide whereas the Gerton is 29 1/2″ which is a closer match to my current Ikea setup. Got it put together, I did not take any pictures of putting it together. I did it after I got a root canal, so was pre-occupied with trying to focus on something other than mouth pain. I still need to do some work on the cable management, but it is looking great now. Drilling holes was not too bad, I spent a lot of time making sure my measurements were correct as to where the desk should go. I wish the Gerton table top was slightly wider, but that’s mainly due to my desk being wider before this one. The motor works well, goes from low to standing quite fast. The issue of a slight wobble at standing height is there, but isn’t as bad as I expected. This seems to span a lot of different standing desks and gets worse the higher it is.